A couple, Isabella Sablan and Michael Del Valle, decided to take engagement photos at a Target in North Miami Beach. The result is romantic — and hilarious. The couple said they chose the offbeat location because they'd spent a lot of time there throughout their eight-year relationship, walking down the aisles even when they didn't need to buy anything. 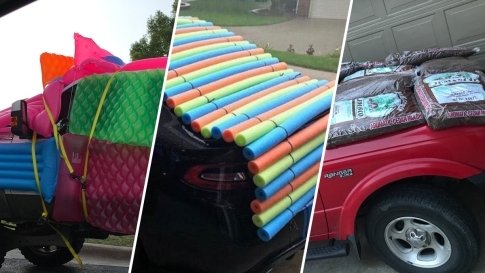 "If you ask any of our friends, none of them would be surprised that we chose to do this at Target — THAT's how obsessed we are," the couple said in a statement provided to NBC Miami by the photographer. Photos courtesy of Evan Rich Photography.